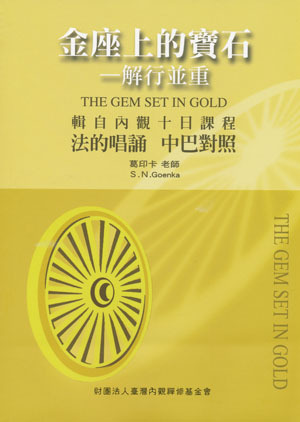 This book is the Chinese translation of the P li and Hindi chanting by S.N. Goenka from a ten-day Vipassana meditation course. It is formatted so that one can readily find the translation for the opening night, each day's morning chanting, and all other chantings from throughout the course. The Pāli and Hindi text appears on pages opposite the Chinese translation.